So, you’d like to be the next hotshot character concept artist to work in either the film, television or game industries. There’s just one problem. You don’t even know how to begin the journey that would lead you to a career like that. Whether you’re just starting out or maybe you have been drawing for several years, this article will provide you with insight into some areas you can focus on to draw better and eventually achieve the job you’ve been dreaming about. 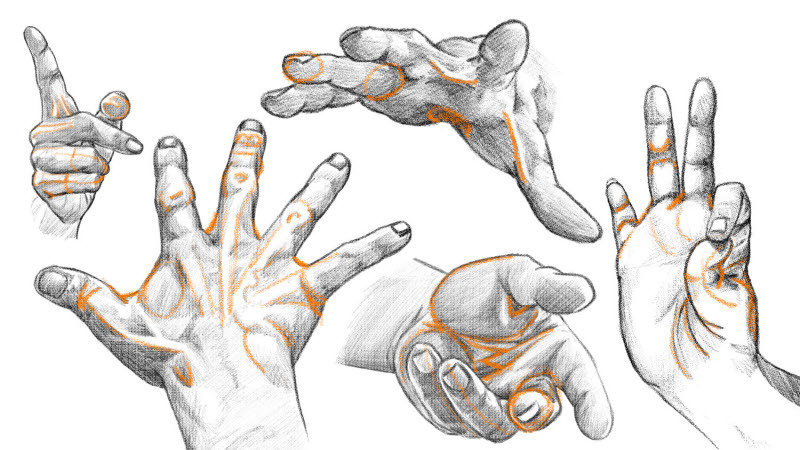 If you’re just starting out, fundamental areas of drawing and painting should be your focus. Think of it this way; you need to learn how to control your hand, teach it to do what you want with a drawing utensil before you can actually begin to improve. You wouldn’t tear apart your car to fix something unless you had done some research and learned how to put it back together, would you? Early on, you should focus on learning how to draw line and form and use them as tools to create your characters. From here, you can begin to explore shapes and how they play a role in the characters you create. In the later stages of your fundamental education, you should primarily focus on anatomy. This extremely important fundamental art skill is something that even artists who have been drawing for years still struggle with. The people that ultimately decide whether your character is successful or not won’t be the modeler who creates it in 3D or even the art director that approves it. It’ll be the audience who views your character in its final finished form. Because of this, a character designer must always think about what that audience finds appealing. Who are they? What are their likes and dislikes? If your audience is the Saturday morning cartoon kids, then a simple, colorful and whimsical character may be the right way to go. If, on the other hand, you’re designing a character for the next big comic book movie targeting adults in their 20s and 30s, realism will probably be received in a much better light. Ultimately, your audience is who your character is for, and by putting yourself in their shoes from the very first day your design will be better for it. As a character designer, it’s your job to create a solution to the design problem you’re presented with in the form of a unique character concept. For some artists this is a tough task because this is where creativity comes in. With all of the different artwork they surround themselves with as inspiration, they often act like a sponge, soaking up all of the ideas they like and then wringing them out into their concept. This just doesn’t cut it when it comes to elevating yourself as a top notch character designer. You are the innovator, the generator of ideas. Original ideas come in large part from the process of trying, failing and learning from our experiences. Remember to be bold in your designs. Try things you haven’t tried before. It’s only through pushing yourself to do things differently will you find new and original ideas to incorporate into your designs. What is it visually about an interesting character that draws you in and makes you examine them closely, taking in all the wonderful detail? When you look at a character that has depth, you’ll find there are things about the character that tell a story. It could be the clothing they wear, the hairstyle they have or even something as subtle as a facial expression. These intentional, carefully placed details are meant to clue you in on who the character is and what their history might entail. In a production environment, every character you create will have a story behind them. Your characters will be more successful if you take the time to familiarize yourself with this story and think about ways you can influence your design with it. There’s a definite difference between a character sketch and a character design. If you, as the artist, draw or paint a character once, it’s a character sketch; a single idea of what a character may look like in a single pose. Character design is so much more than a single version of a character. It’s a journey. At the onset of this journey, the correct path is rarely visible. Only after you’ve traveled through the design process can you look back on it and connect the dots along the path. Even after the final look of a character for a design has been determined, often times there are a number of additional pieces of art that must be created. Obviously this will vary depending on the intent of the character, but you’ll be expected to produce things like wardrobe variations, character aging, various poses, facial expressions, not to mention any story driven changes that may affect your character. 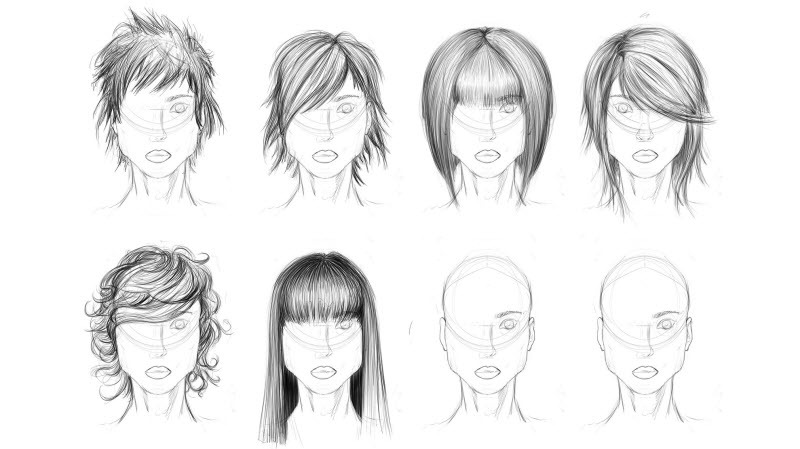 If you’re aspiring to be an amazing character designer, start practicing this now. Explore a character until you are sick of looking at them. Take a break. Then come back and keep digging to find the best solutions for the character. Yes, this sounds a little strange. Many artists who are new to character design or who may not have worked in a production environment fall in love with the work they create. This is understandable because a considerable amount of time can be spent getting a design just right. The reality is another person must love your work as much as you do for it to be approved and go to the next step in production. This is applicable whether you’re working for a studio or freelancing at home. How can you avoid the crushing disappointment of a rejected design, especially since putting your heart into your work is so important as an artist? The solution is to love the process, beginning with the first step and ending with the last. This incredible journey is one where a character emerges from a blank piece of paper. It’s one that allows an incredible amount of creative freedom. The character produced at the end is simply a result of this journey. If that design is rejected or revisions are requested, it doesn’t detract from the journey and its value. It simply means that the journey isn’t finished or must begin again. It’s really easy for artists of any type to lock themselves up inside a bubble and separate themselves from other creative individuals as they work. They’re not only preventing any possibility of receiving valuable input, but they’re also basically saying their answers are always the best ones. By seeking out feedback on the work we create, we can expect to get new points of view we may not have previously considered. This is something, however, that must be done strategically. There are a number of different creative communities out there. It’s important to seek out feedback from artists who you respect and who can identify with the work you’re creating. The last thing you want to do is implement feedback from someone who isn’t qualified to give it. Another quality of successful artists who create character concepts is they are never satisfied with the work they create. Inside of them burns a flame that makes them believe they can be even better tomorrow than they are today. This passion is what drives them. It’s the motivation behind every character they create. You too can tap into this passion and apply it to your own work. This work doesn’t always have to be on a computer either. Draw anywhere and everywhere. If you want to get better at something like designing characters, make it a point to draw every day. To start out, challenge yourself for a month. After 30 days of creating a new character each and every day, you’ll be surprised at what you’ll have learned. Don’t be afraid to do things differently. Mix it up a little. If you work primarily on the computer then switch it up and move to paper. Try acrylic, watercolor or oil paints. Break out of your box to find new ways to create characters. The one thing you absolutely must keep in mind is that becoming a legendary anything doesn’t happen over night. There isn’t a button you can press to make you an amazing character concept artist. This is going to require a lot of time, practice, sleepless nights and passion on your part. There will be peaks and valleys along the way. There will be times when you feel like you’re stuck and not getting any better. There will be times you want to throw in the towel. It’s times like these when you must adopt the mindset that failure is not an option. Identify the problem, and harness the power of your own creativity to fix it and continue the journey. If characters are your passion and becoming an amazing character concept artist is something you desire, don’t feel that it’s an unrealistic goal. Every artist out there had to start off somewhere. 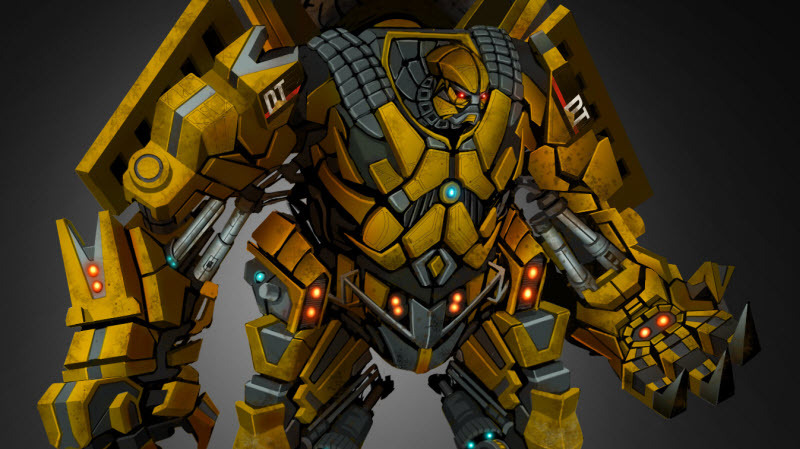 Here at Digital-Tutors, we have a variety of different illustration tutorials and digital painting tutorials to teach you the tools, techniques and software to set you on the right path. Just remember, this journey will require your passion and hard work as well!